Call To Worship – composed and offered by our Lay Leader. 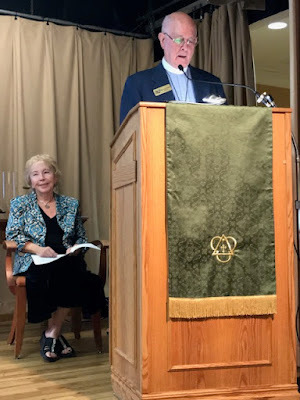 Unison Opening Prayer – O Holy One, we long to open ourselves to a new experience of inclusivity where all are welcome, all are loved, all belong to a community of equals, a community of spiritual growth, a community of justice. We affirm our oneness as people of faith committed to seeking wisdom, living compassion, and working for social justice for the marginalized and all in need. We affirm our diversity and celebrate the many paths to living a fuller life on our holy earth. Amen. Prayers of the People and Lord’s Prayer: I am happy to lead the Lord’s Prayer with the community. Do not be afraid. I have called you by name; you are mine. I am YHWH, your God, the Holy One of Israel, your deliverer. We bless one another as God’s holy people united in love with many gifts to make our world a better place. We rejoice in our call to live as a reflection of the Holy One’s Presence in communities that are inclusive, compassionate, just and wise. We go forth beloved and blessed in the God of love, in the God of truth and in the God of justice. Amen. 1. Each of us is a unique and precious image of God created for a special purpose to make our world a better place. 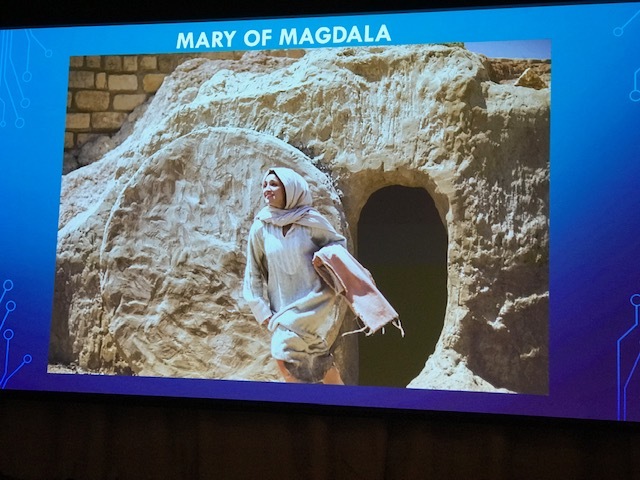 In Genesis, we read that God created women and men as spiritual equals in the divine image. 3. 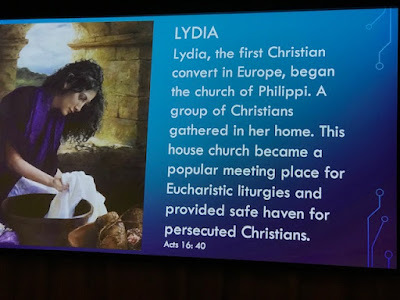 By our baptism, St. Paul affirms that women and men are spiritual equals, In his letter to the Galatians 3:28, he writes: ““All of you who have been baptized into Christ Jesus have clothed yourselves with Christ. In Christ there is no Jew or Greek, slave or citizen, male or female, all are one in Christ Jesus. 4. 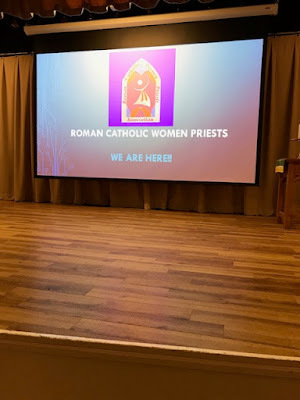 In the Roman Catholic Church, there are many ways we can live our baptismal call to service in the community, but our church is not open to priestly ordination. At this time, Pope Francis is considering returning to the ancient 1200 year tradition of women deacons. 5. 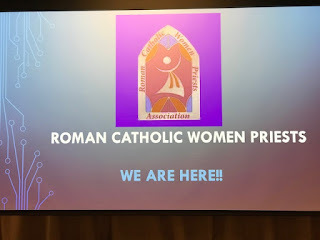 Today, I am going to share with you a new movement in the Roman Catholic Church that is here in Florida at Mary Mother of Jesus Inclusive Catholic Community. Imogene Rigdon, who recently passed away was one of our first, founding members. She and Michael were a priest ministry couple who served our house church that later grew and moved to rent space in St. Andrew UCC. We celebrate liturgies at 4 PM every Saturday. Now we have 6 women and 2 men who are priests in our inclusive community where all are welcome to receive sacraments. 6. Why? Roman Catholic Church Canon Law 1024 states that only a baptized male can be ordained. This is an unjust, man –made law! 7. In response to this unjust law and as a matter of justice, the international Roman Catholic Women Priests Movement began in 2002 with seven women being ordained on the Danube River. 8. Shortly after this time, the Vatican excommunicated the women. 9. 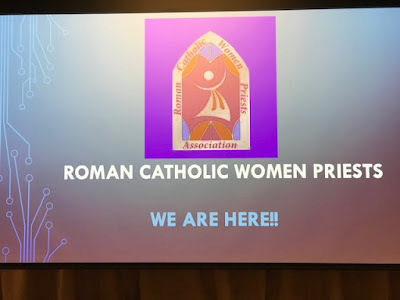 But, an unnamed bishop ordained 2 of the women priests bishops- Christine Mayr Lumetzberger and Gisela Forster- in order to grow the movement as an issue of justice. Later, he ordained another woman, Patricia Fresen, a bishop. 10. These women did the first ordinations in North America in 2005 on the St. Lawrence Seaway and in 2006 on the 3 rivers in Pittsburgh. I was ordained at this historic ordination. 11. When I returned to Florida with my Dad, jack, we had our first liturgy/Mass around our dining room table at Christmas time in 2006. 12. We put a little ad in the paper and people started to come. After some articles in the Sarasota Herald Tribune, Bishop Frank Dewane issued a condemnation of me. 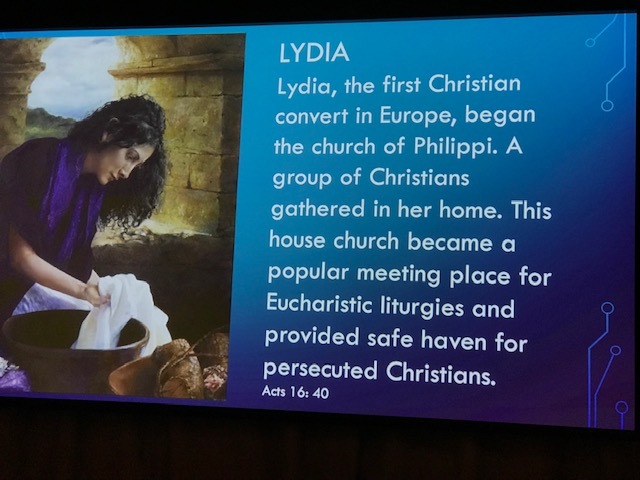 Tom Lyons wrote an article that can be found on google, ABC local news interviewed me and Jack Duffy, one of our members, and then the house church so much that Michael Rigdon and I started knocking on other Church doors. Pastor Phil Garrison and the UCC community at St. Andrew warmly welcome us in 2008 and we have been there ever since. 13. We are Catholic. We are not leaving the Church but leading the Church in a new Christ-centered model of community that is inclusive, egalitarian and empowering. 14. For example, all are welcome to participate at our liturgies and to receive Eucharist. We invite the community to share in dialogue homilies, and invite everyone to pray the Eucharistic Prayer in a circle around the Table. Our model is a renewed non-hierarchical model where the community is circular and transparent and makes decisions together. The bishop’s role is to ordain , she has no control over anyone including our priests and communities. All are independent and co-responsible to live the Gospel and to serve the people. 15. I have brought flyers about our movement and our People’s Catholic Seminary, an online and interactive resource that our women candidates use at no-charge and that is available to members of our communities and other seekers interested in contemporary theology, transformative spiritual and social justice approaches to healing and structural change. 16. I will available after our service to greet you and answer questions. 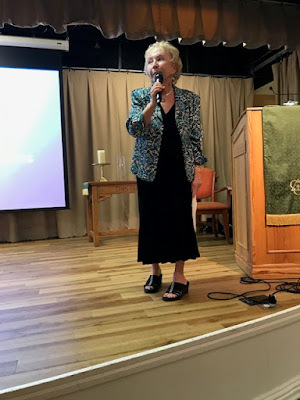 I write a daily blog- you can google bridgetmary’s blog and you will find me! 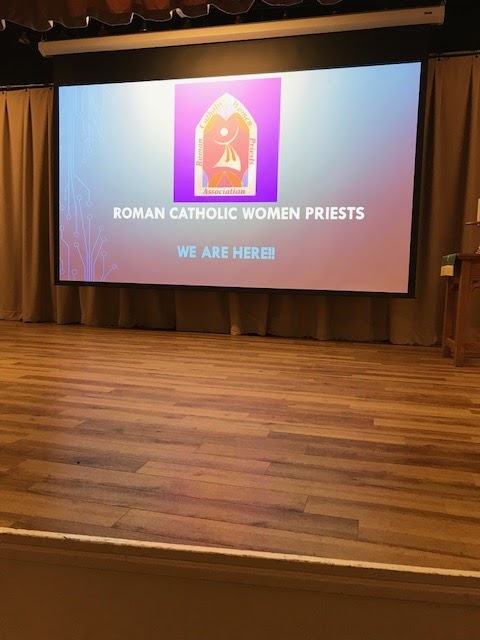 Many thanks for your wonderful invitation to share my passion for justice and work for equality for women in the Roman Catholic Church. 17. We have handouts about how you can support our movement as Friends of the Association.